Look up at the rafters at any professional sports venue around the country and you're sure to see a handful of retired jerseys—rarefied air for only the most deserving of a team's players. It's a nice gesture, but where'd it come from? It originated in Canada—specifically with the Toronto Maple Leafs and Ace Bailey. Bailey was a lightning-fast winger for the team during the late 1920s and early '30s. On December 12, 1933, Bailey and the Leafs played a game in Boston against the Bruins that would be the last of his career. Bruins legend Eddie Shore was hipchecked hard by Rod Horner during a Leafs penalty kill and, as Horner explains it via the Hockey Hall of Fame's website, "[Shore] wanted to get even for the check I'd just put on him. He thought Bailey was me. He charged into Bailey on an angle from the side. He hit Bailey and flipped him in the air, just like a rag doll. Bailey landed on his head just a few feet from where I was standing. Bailey hit the ice and he went into some kind of convulsion. I thought to myself, 'That's the end of Ace!'" As Bailey lay on the ice unconscious and bloodied, Horner skated over to Shore and knocked him out with a punch. The two fallen players were carried off the ice and, in the locker room, Shore apologized to Bailey, who replied, "It's all part of the game," before losing consciousness again. Bailey was rushed to the hospital with a cerebral hemorrhage and doctors thought his death was imminent. He survived, but he would never be able to play hockey again. 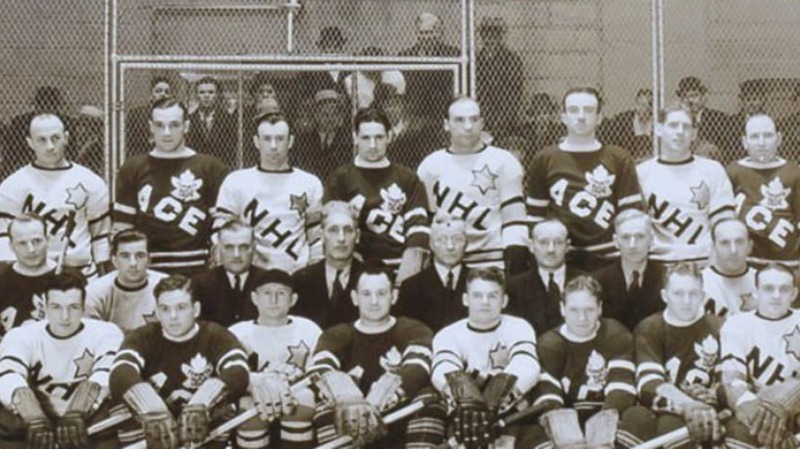 On January 24, 1934, the NHL's board of directors organized a game to be played for his benefit between the Maple Leafs and a team of the league's best players. Bailey was on hand to shake hands with all the participants—including Eddie Shore, and the gesture of sportsmanship between the two earned rapturous cheers from the Toronto crowd. Before the game, Maple Leafs owner Conn Smythe announced to the crowd, "No other player on a Maple Leaf hockey team will ever again wear the number 6," marking the first time in pro sports history that a team retired a player's jersey.